Edge FM was developed in partnership with the Museum of Scottish Lighthouses, Fraserburgh, On the Edge Research and the artist, Paul Carter. The research challenge offered up by the project partners was to find a way of drawing young people living locally into the museum. The museum on the outskirts of the town is a lighthouse at Kinnaird Head, known internationally for having an outstanding collection of lenses and of marking the site of a number of technological innovations- the modern lighthouse and the development of radio. The museum’s connection and role within this small fishing town seemed of marginal interest to the younger generation. The artist Paul Carter developed a response to the project brief which challenged assumptions on many levels – in terms of research, forms of art making and ways of working with young people. The project brief was focussed by the theme of home and what it meant to live in the town. 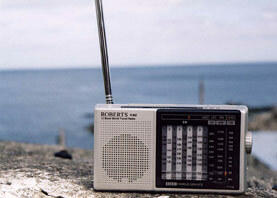 Paul proposed and used a consciously low tech, hands on vehicle to realise the project – radio. He identified and worked with a core group of skate boarders and their friends from a ‘transmission centre’ in one of the buildings at the lighthouse. The young participants first created an identity for the project and for themselves. The group, between the ages of 8 and 14 years, interviewed the residents of the town using the theme of home and identity, collecting audio material to be edited for a two day, one hour looped broadcast which was transmitted via the radio mast they erected at the back of the museum. Radio became the site and the means of giving the young people a voice within the town, and a means of production where they had control over presenting the town’s voices back to the town, along with their own views of Fraserburgh. A small temporary exhibition was displayed in the museum inserting their work as a chapter within the official history there. 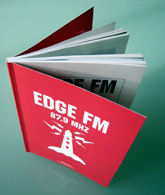 The Edge FM publication records the experience through extracts of dialogue and images. 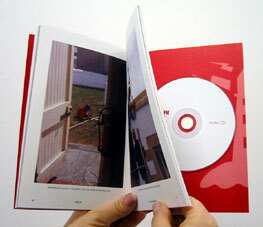 The radio broadcast is on a CD, within the book. On one level Edge FM, which was designed by the artist, is the art work in its tangible form, ‘a small manifesto’ given back to the participants. Two critical essays in the book (Douglas and Jewesbury) raise issues debated in contemporary art discourse – art as a means of social and cultural empowerment and the politicization of everyday spaces. Key questions are raised on the nature of the immaterial in art and what we can really know of the aesthetic value of art and it’s legacy.